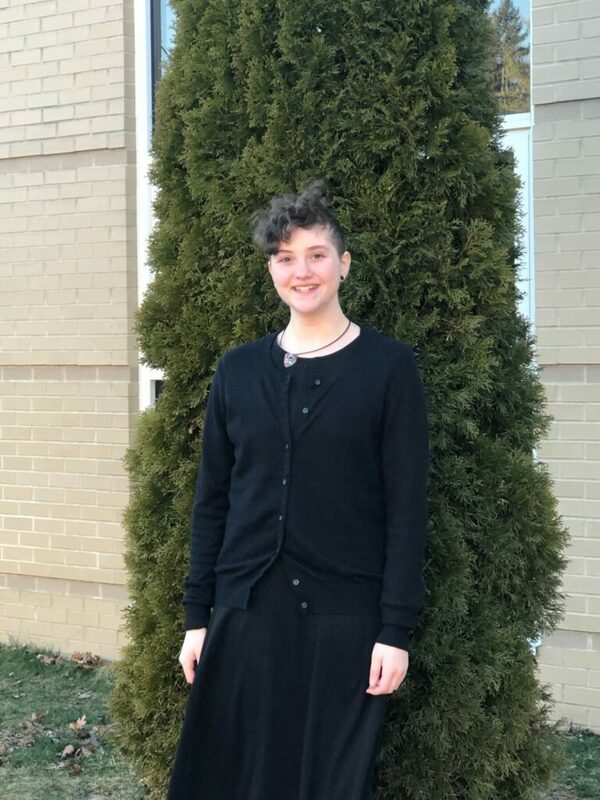 Emma Jacot-Descombes traveled to Woodstock, CT on Wednesday, March 20th to participate in the New England Music Festival, working for 3 days with the prestigious, Dr. TJ Harper. Dr. Harper is the Chair of the Providence College Department of Music, Associate Professor of Music, and director of Choral Activities at Providence College in Providence, Rhode Island. The New England Music Festival process begins for students and their teachers back in September, as they examine a list of music and make a selection that seems to fit the performing ability of the student. Students work to prepare this selection of music, which they perform for a judge at a Solo and Ensemble Festival, which takes place in White River Junction, Vermont in December. When completed, the students’ performance ratings are used to select the highest achievers to form a 250-voice chorus. RLRS is one of approximately 80 different schools that participate in this festival, and only one of two that participate from Maine. Who applied to competitions, and was granted a position. To then arrive at the festival, and rehearse them in turn. though soon after we were granted some rest and relaxing. and confined to the theatre seats, not too far we should stray. Dr. Harper said we should have a strong and determined voice. and those songs sounded epic with the acoustics in that room. synesthesia, he explained, a topic worthy to bethink. “Try singing ‘Flight Song’ in green.” A tone that is sure to beguile. plus it’s purely in Latin, and the bass parts were ear-splitting. “This song is definitely yellow,” he said, then released us to lunch. so rich with emotion, the final note rang out all the way to the moon. the words were so heartfelt, the harmonies so strong. the songs were all memorized and the attire all matched. and to the audience we introduced to a new point of view. so we hugged and rejoiced and said “farewell”s from the heart. unfortunately NEMFA weekend isn’t that long. but I’ll always have memories, in my mind they will lurk. Though friendships, responsibility, and experience I will gain. if I didn’t, I wouldn’t have reaped the reward of my musical advances. I’ll just have to make sure I get in next festival season.